Tall, silvery-gray trunk, typical of the Chilean Wine Palm. This palm is growing at Villa Carlotta on Lake Como in Italy. 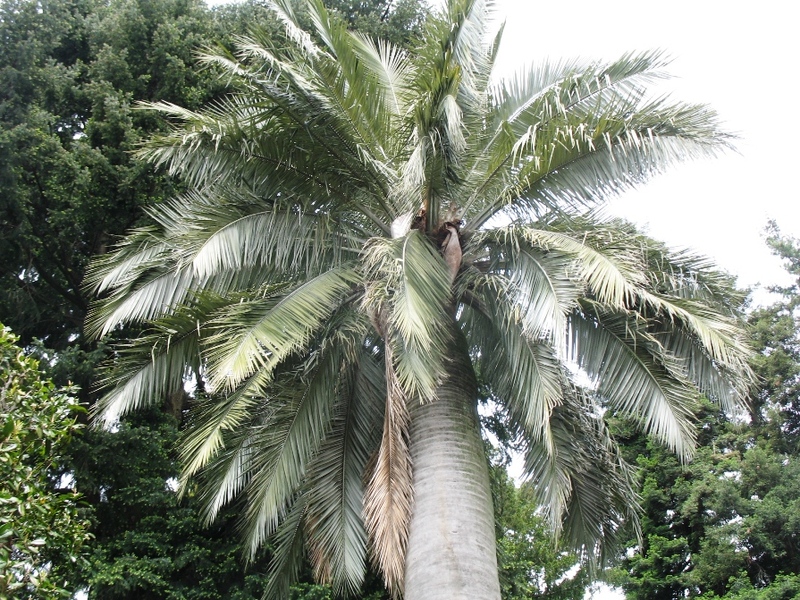 Comments: This tall growing palm, native to Chile, produces a tight crown of densely packed featherlike fronds which can be over twelve feet in length and are dark green above and dull gray-green below. Purple flowers, borne on four foot stalks, are often hidden among the large leaves of the dense canopy. Cannot tolerate coastal conditions, but does prefer well drained soils, and does have some drought tolerance. Native stands of this palm have been destroyed due to over exploitation in order to harvest the honeylike sap in Chile.